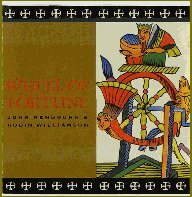 This live album, recorded in partnership with Robin Williamson (who plays Celtic harp, rhythm guitar, and whistle) at the Old Town School of Folk Music, is the most beguiling of Renbourn's albums, not a bad achievement 30 years into his recording career. The sound is excellent, the repertory consists almost entirely of traditional folk songs (there are two modern originals by Archie Fisher and Randy Weston) arranged by Renbourn and/or Williamson, and it's all fresh and bracing. Williamson takes the lead vocals on four songs, Renbourn on three, and the other four are instrumentals, with one dazzling piece of storytelling ("Finn and the Old Man's House") to musical accompaniment. Renbourn's contribution is slightly understated in these surroundings, although when he sings, his voice achieves great expressiveness and power. This is also a good showcase for his playing, and the running time, at more than an hour, is generous.